Privacy and government interaction with social media have been major topics of concern, especially since the NSA leaks. Now, these policies are gaining more attention in Brazil. 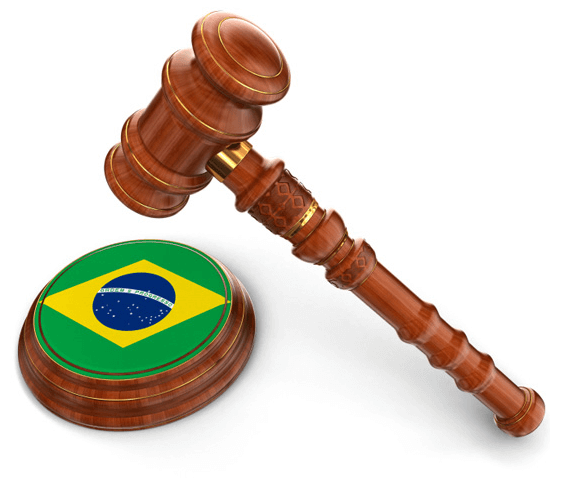 The Brazilian government has already enacted the first set of regulations around data and internet governance. Known as the "Internet Constitution," or Marco Civil da Internet, the document aims to establish the rights and duties of Brazilian citizens, the government and businesses regarding internet use. It has been in the works since 2009 but has been fast tracked since the U.S. spying news broke in July. Now, according to a ZDNet article, Facebook and Google are expressing concerns because of recent proposed amendments. The main issue revolves around a requirement that all data be stored locally. A Facebook spokesman said this addition is an "enormous technical challenge" and could cause problems for the Brazil's internet service. William Beer, a security expert at consulting firm Alvarez & Marsal, warned that this move would complicate an already difficult landscape. "[The Brazilian government] needs to be very careful as there are a lot of datacenter-related issues already, such as the high cost of electricity, access to skills and even the temperature, which makes it expensive to run those facilities in Brazil," Beer said. "Then if you add regulation that will present further obstacles, companies might end up moving their IT operations to other South American countries where the rules are not so strict." Brazil has made international headlines in recent weeks because of the role of reporter David Miranda played in the Edward Snowden NSA leak. However, a new event may be taking it off the front page. According to a recent article from the Wall Street Journal, Brazil's foreign minister Antonio Patriota was fired this week after rising diplomatic tension with neighboring Bolivia. This stems from an incident where a Brazilian diplomat helped a Bolivian opposition senator facing criminal charges flee the country. The senator, Roger Pinto, had been hiding out in Brazil's embassy after leaking Bolivian documents that allegedly show a connection between drug traffickers and the government. He claims to have received death threats since doing so. Pinto received asylum in June but Bolivian officials did not grant him permission to leave the country. Word out of Patriota's camp is that the foreign minister had no knowledge of the plan to extract Pinto and issued a statement that said his department would be investigating the incident. Bolivian officials have called Pinto a fugitive and have said they will seek extradition. "The controversy illustrates Brazil's tricky diplomatic role as the economic might of South America's largest country has grown," the article reads. "[Bolivian President Evo]. Morales is an ally of Brazil's leftist government, and Brazil has sought to stay out of Bolivian politics." This move should help soothe the feelings between the two countries but it will be important to see how these two countries are able to interact while a solution is worked out. Employee rights are a hot topic in countries around the world. It is impossible to debate the fact that workers deserve to be treated fairly, paid a livable wage and have conditions that are up to safety codes, but unfortunately, that is not always the case. However, there are laws in place and courts to bring companies that violate them to justice. This week, the Brazilian Ministry of Labor has filed a lawsuit against technology company Samsung. The reasons stem from precarious working conditions imposed of the 6,000 employees at a manufacturing facility in the country. According to a statement released by prosecutors, several irregularities were found at the factory in Manaus. This includes working shifts of up to 15 hours, lack of seats in the production line, lack of breaks and days off. This lead to some 2,000 employees taking sick leave of up to 2 weeks in 2012 alone because of back problems and repetitive strain injuries. On top of that, there are also claims of harassment in the workplace. Samsung has responded, saying it will conduct a thorough review and co-operate with Brazilian officials to investigate these claims. "We take great care to provide a workplace environment that assures the highest industry standards of health, safety and welfare for our employees across the world," the company said. If found guilty, the company could be forced to pay $109 million in damages. It will be interesting to see how this plays out and what effect it could have on the manufacturing industry as a whole. Land disputes still play a major role in many conflicts around the world. When needed, governing bodies step in and make a ruling to put an end to any violence. 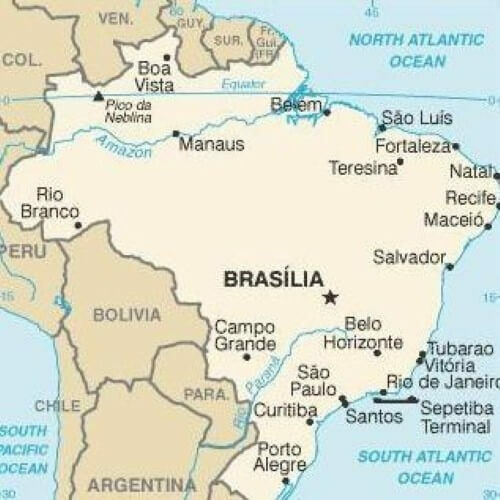 That is happening in Brazil right now as the Supreme Court (STF) will decide the dispute between boarding states Piaui and Tocantis after officials from the two were unable to reach an agreement. The issue stems from unclear borders between the two. This became a problem in the late 1980s when Tocantis became a state when it was created by the Federal Government. As a result, certain cultural and bordering problems were not solved at the time and are still being challenged. On top of that, the region is known for its agriculture production, which can add to any state's profile. A hearing took place on August 6 in the office of Justice Luiz Fux and the states were given ten days to layout their case and present any evidence to their claim of the land. Both sides presented their arguments and were unwilling to negotiate. The states did suggest using the anthropic criteria, which takes into account the the dynamics of human occupants of the land, but still no agreement could be met. Because they have not been able to settle on their own, the STF will now step in to try and end things amicably. There is no telling where the boarder will end up when this is finally concluded.